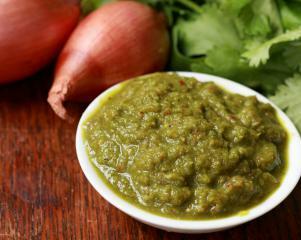 Green Curry Paste (Nam Phrik Gaeng Khiaw Waan). Green curry is a very popular dish, however it is mostly not vegetarian. Once you have the ingredients it is easy to make your own curry pastes. In a hot pan, dry roast the coriander seeds, cumins seeds and peppercorns for a few minutes until the cumin seeds are lightly browned. In a food processor, process the spices into a powder. Add all the other ingredients to the food processer and process until the mixture is a reasonably smooth paste. You may need to add a little water. To make two serves of curry add two tablespoons of paste to hot saucepan. Fry in a little oil until fragrant and then add two cups of hot water. Bring to the boil and then add vegetables and tofu. Simmer until everything is cooked, then add a cup of coconut milk and season with soy sauce.